Warning... Hiring A Cheap Home Inspector, Because It Sounds Like A Great Deal And Too Good To Be True, Can Be Hazardous To Your Wealth! That's right - If It's Too Good To Be True, Then WATCH OUT!! That's why they're so cheap! If your goal is to avoid buying a Money Pit, then get a Norman Inspector with lots of experience performing home inspections -you'll pay a few bucks more for the inspection, but don't worry... it will be worth it to you over the long run! And keep in mind, saving a few bucks now can cost you thousands later in repairs of unexpected and undiscovered defects Cheap Charlie missed! Home inspection is a discipline that requires special training, knowledge and communication skills. Most professional home inspectors today utilize various high tech instruments which help them identify hidden defects; for example, combustible gas leak detectors to help locate gas leaks that are serious fire hazards - GFCI and AFCI testers to check for safety issues - Moisture Meters and On-Site Computers. Is Your Home Inspector Licensed and Certified? Licensing is now a requirement for anyone wanting to provide professional home inspection services in Oklahoma. If they are not licensed - stay away! 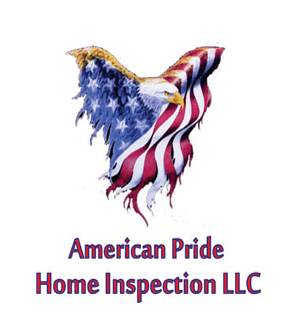 At American Pride Home Inspection, the inspector's license number is 70001159. In addition to licensing, being certified through the International Association of Certified Home Inspectors (InterNACHI) is another way to determine if your chosen inspector is the right one. InterNACHI is North America's oldest and most respected professional society of home inspectors. To become a member, an inspector must meet professional and educational requirements followed by a review, pass a proctored examination, and adhere to a Standards of Practice & Code of Ethics. Don't put your largest asset, Your Home, at risk by trying to save a few bucks on the home inspection. Give us a call to see why we're constantly "setting new levels of excellence in the Norman Home Inspection Industry". There is ALWAYS someone there to answer you questions during normal business hours. You will never have to talk to an answering machine.